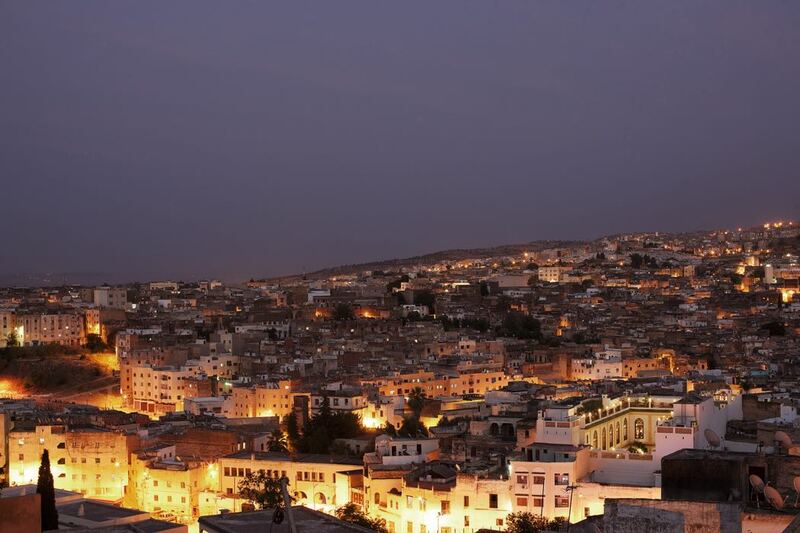 A city which more than any other offers a real taste of the old Morocco, Fez is well worth exploring for its stunning architecture, carvings and mosaics and historic medina. 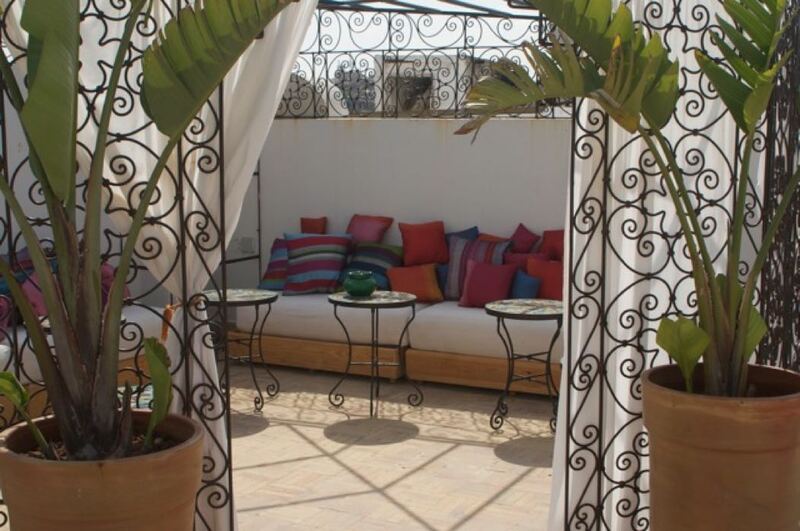 Conveniently situated just inside the medina walls is the Riad Palais Amani, an intimate and very beautiful luxury hotel which perfectly blends traditional Moroccan style and décor with state of the art facilities and modern day comforts. 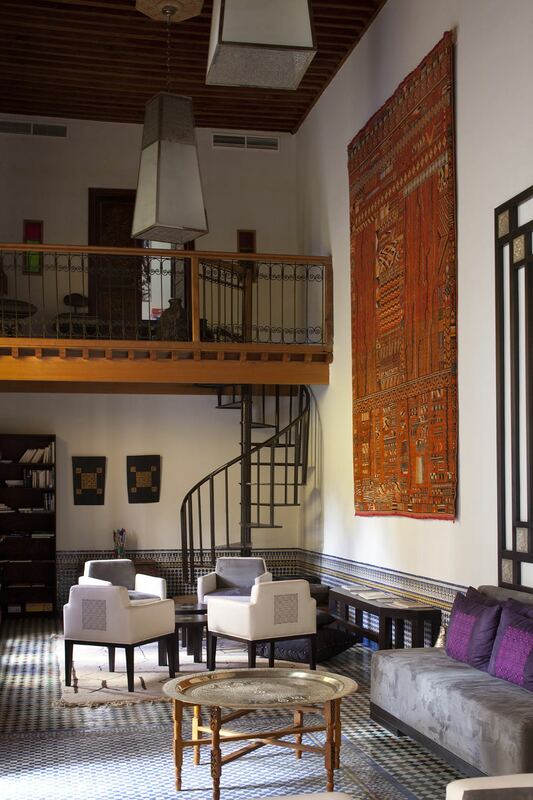 This outstanding hotel, featured by Conde Nast Traveller, provides a tranquil oasis of calm amid the hustle and bustle of Fez and makes the perfect place to stay while visiting this exciting travel destination. You can fly direct to Fez from London Stansted with Ryanair, while various airlines offer connecting flights from other UK airports. 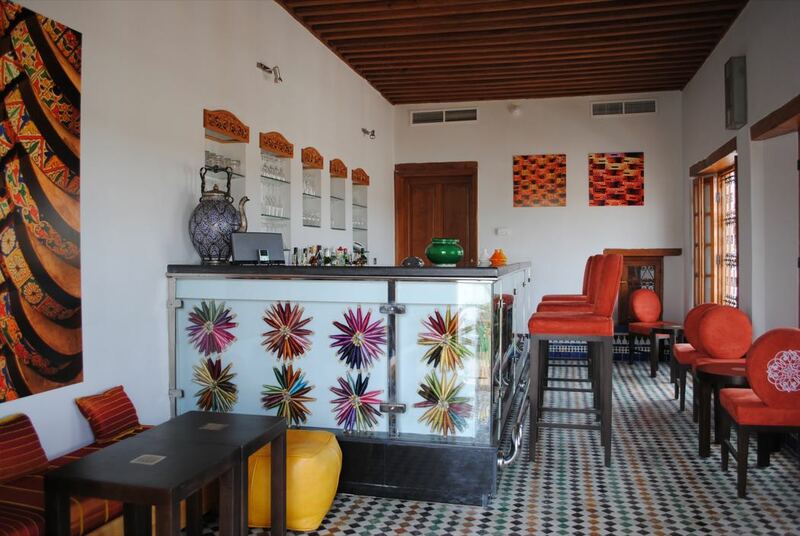 The hotel is about a 35 minute drive from Fez airport. 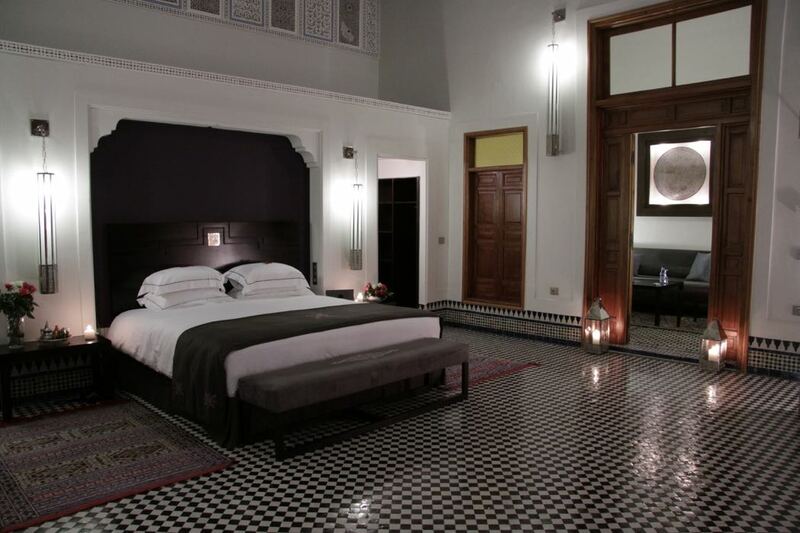 An historic riad-style palace has been lovingly restored to create this opulent fifteen bedroom hotel. 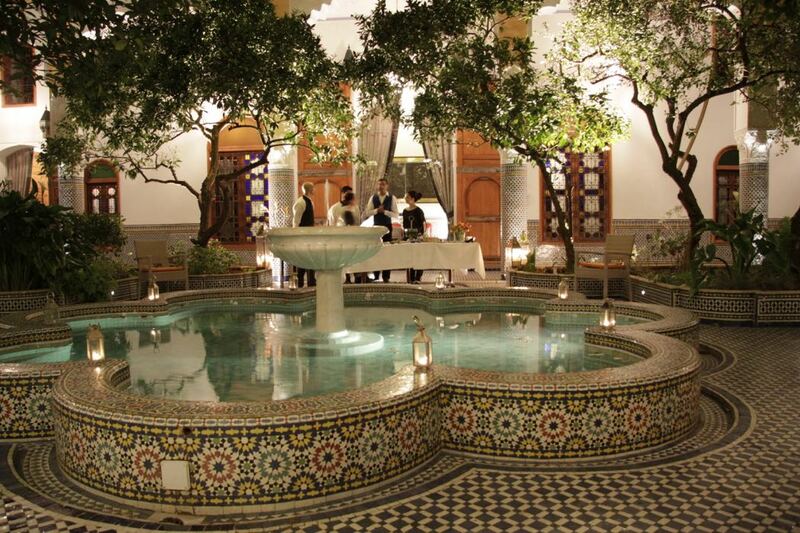 Filled with traditional Moroccan furnishings and exquisite tiling, the centrepiece is a beautiful interior garden planted with fragrant orange, lemon and tangerine trees. There is also a fountain where you can watch birds enjoying the water, a traditional hammam and a rooftop bar with spectacular views. The multi-lingual staff are friendly and attentive. Each room has a character all its own, with some boasting impressive high ceilings and others a cosier feel with low beams. 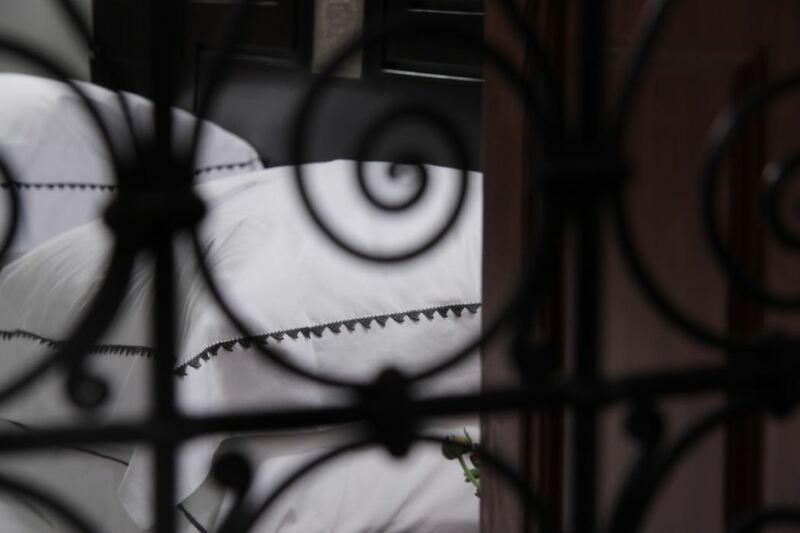 All rooms benefit from Wi-Fi connection, private sound system and fine Egyptian hand embroidered linen. 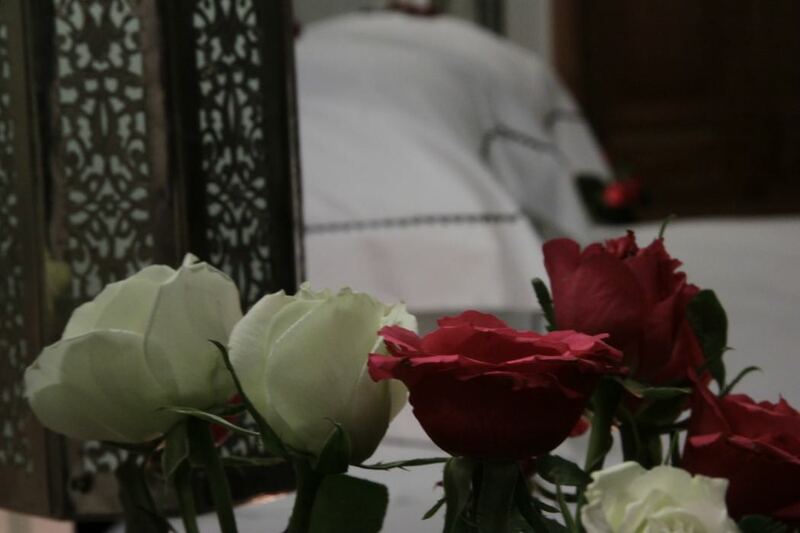 All rooms also have their own very modern ensuite bathroom, equipped with luxury toiletries and hairdryer. 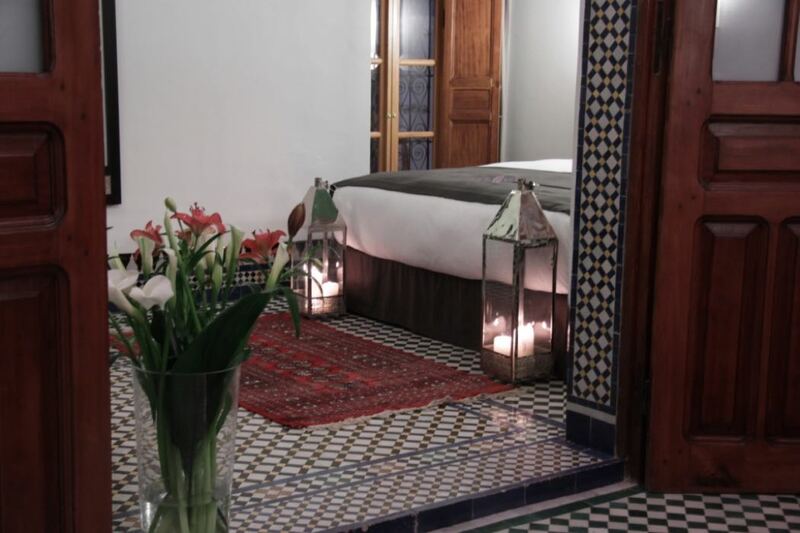 For small families or those who just fancy treating themselves, larger suites are available, beautifully decorated in the traditional Moroccan style with great attention to detail. You really will feel as though you are staying in a palace! Room Tips – All the rooms are of a good size. Those with views of the courtyard are popular, while first floor rooms benefit from the shade of the trees. 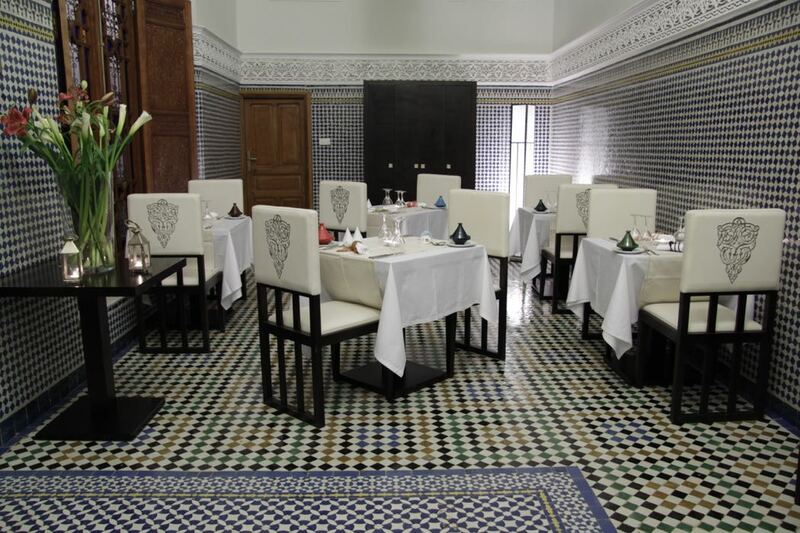 The cuisine at Palais Amani is based on traditional Moroccan home cooking with a modern twist. Served either in the restaurant dining room or on the rooftop terrace, the dishes are prepared using locally sourced produce. The lemon mousse made with lemons grown in the hotel garden is not to be missed! Breakfast includes yogurt, jams, cheeses, fruit juices and freshly baked Moroccan bread. For cocktails or tapas with a spectacular view of Fez, head to the rooftop bar. Exquisitely decorated and lit with candles, the luxurious hammam offers you the chance to experience this traditional ritual. 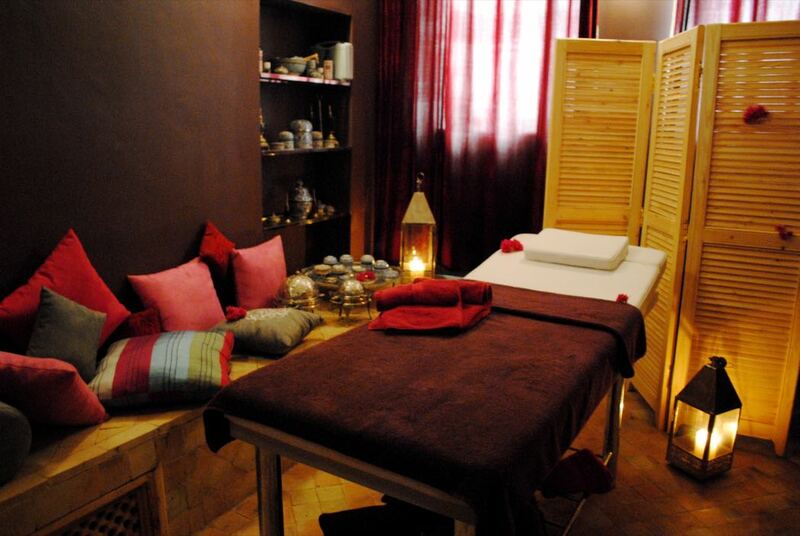 Treatments include foot scrubs, body scrubs, clay masks and steam baths, ensuring that you leave with “glowing elasticity and softness of skin”! 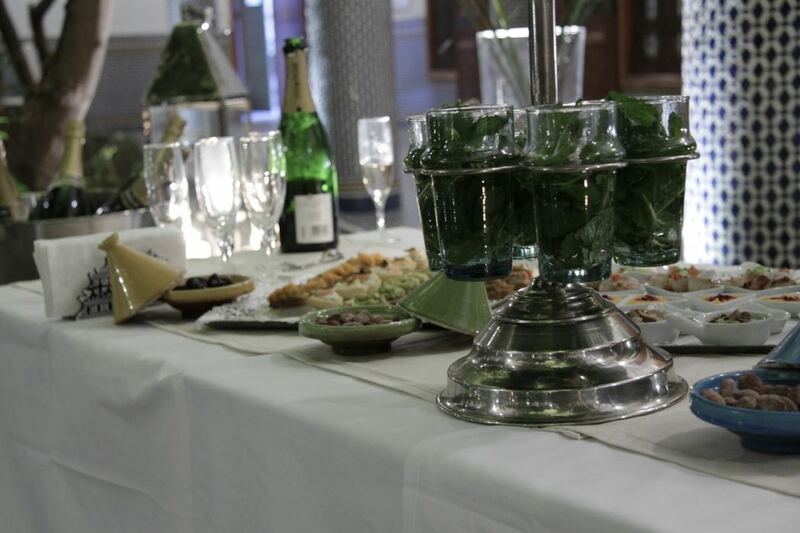 Or if spa treatments aren’t your cup of tea, how about taking advantage of the hotel’s cookery classes? 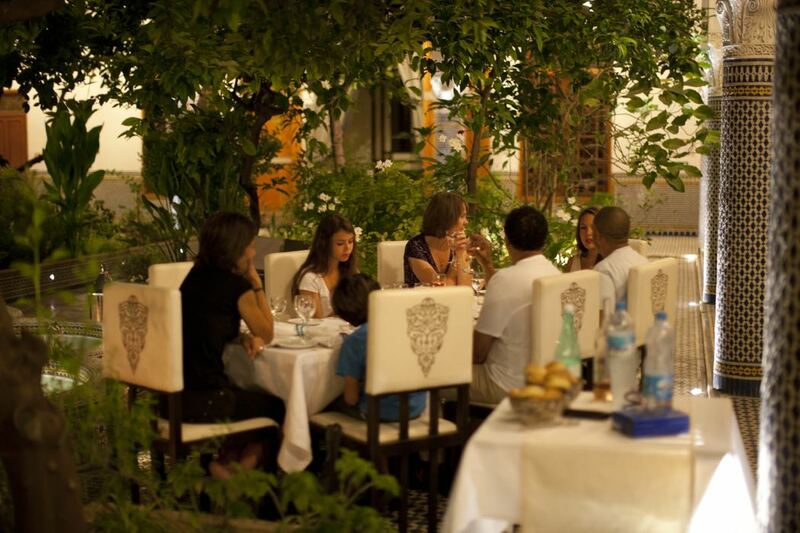 From sourcing produce in the local markets under the guidance of the chef to creating a meal and enjoying the fruits of your labour afterwards, this is an experience that any foodie will love. 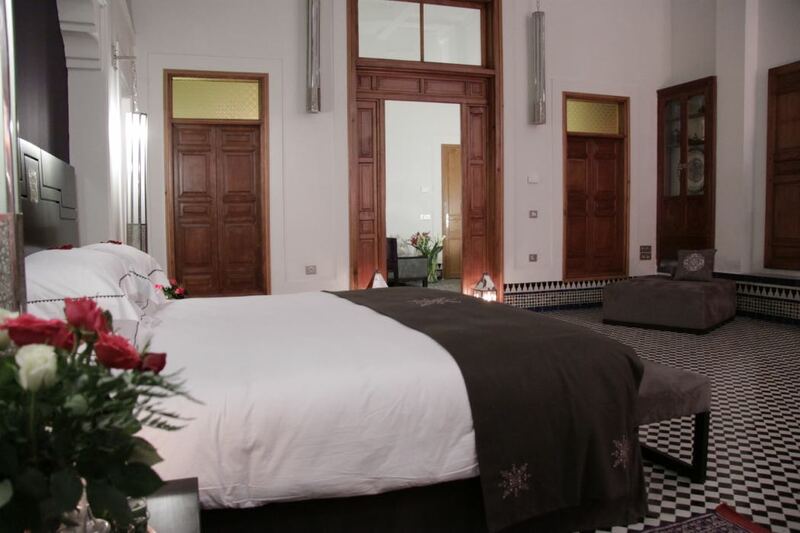 Outside the hotel there is so much to see, from the ancient medina to museums, beautiful architecture, natural baths at Moulay Yacoub and Roman ruins at Volubilis, as well as a golf course, tennis courts and even a ski resort nearby. 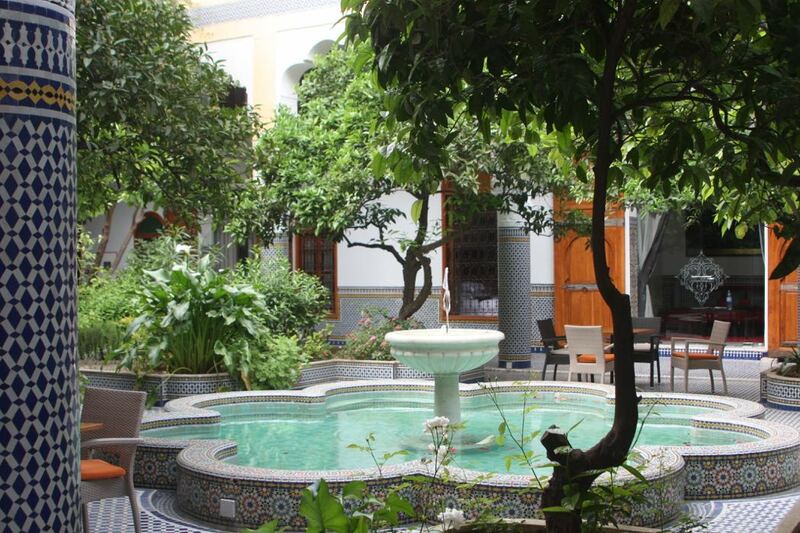 As the medina is not accessible by car, staff from the hotel will meet you just outside in order to assist with luggage. 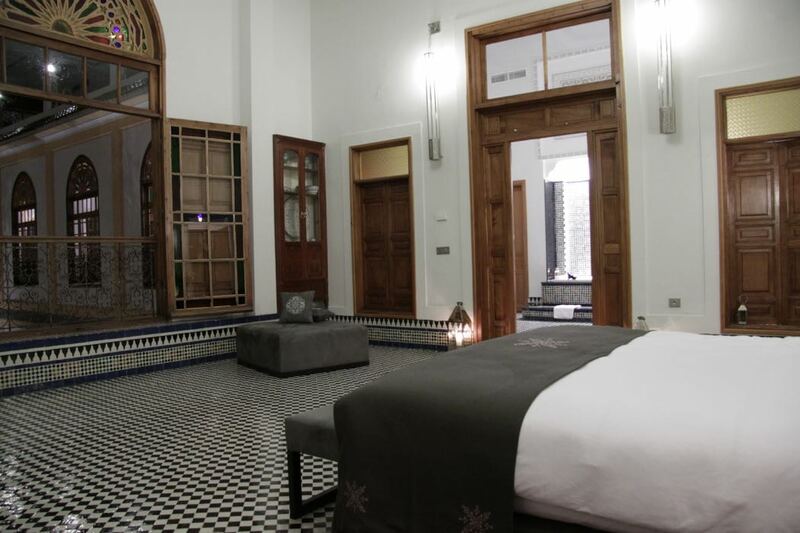 Combining beautiful old Moroccan style with modern luxury, the Palais Amani is a truly special place to stay in the heart of Fez. 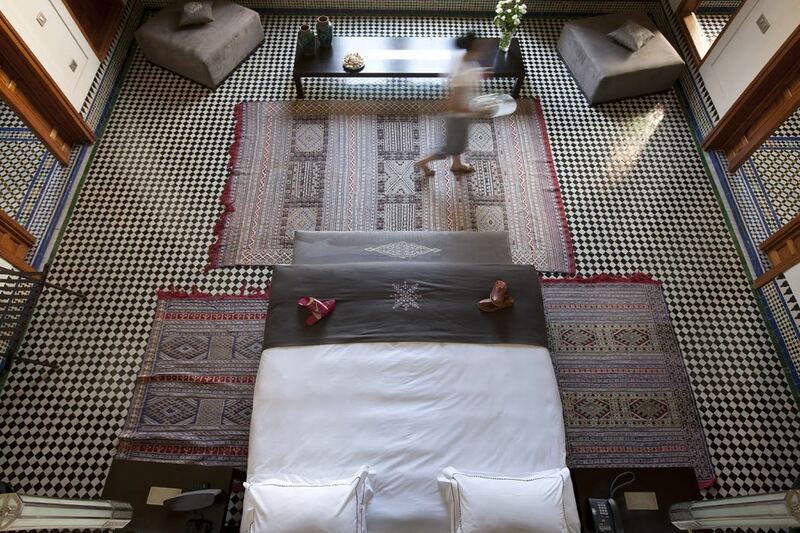 See more top luxury hotels in Fez.